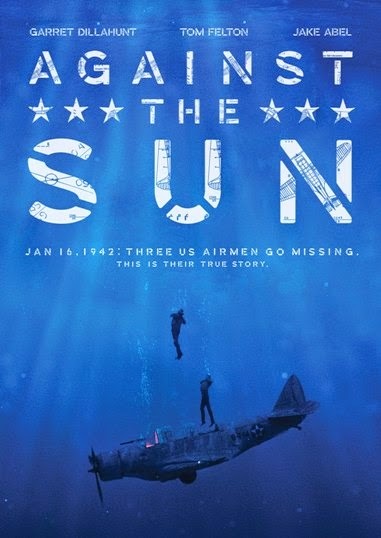 Anchor Bay Entertainment and Amplify Releasing recently send us information about the upcoming DVD release of "Against the Sun". The upcoming release stars Garret Dillahunt(“Deadwood”, 12 Years a Slave), Tom Felton(the Harry Potter film series, Rise of the Planet of the Apes) and Jake Abel(Percy Jackson: Sea of Monsters, The Host). Special features on the DVD include a Behind the Scenes look; A Plane Takes Flight; Starving At Sea; Working On Water; F/X: On Set And Off; Blisters, Burns And Bites; and Dressing The Part. "Against the Sun" hits retail on May 5th.